It seems that Acer is going to upgrade their IPS-panel FreeSync ultrawide gaming monitors by giving them limited HDR support and faster response time speed via the MPRT (Moving Picture Response Time) technology instead of the standard Gray-To-Gray pixel transition. We have reviewed the Acer XR382CQK which is the 38-inch version of the series and features the stellar UWQHD+ 3840×1600 screen resolution. 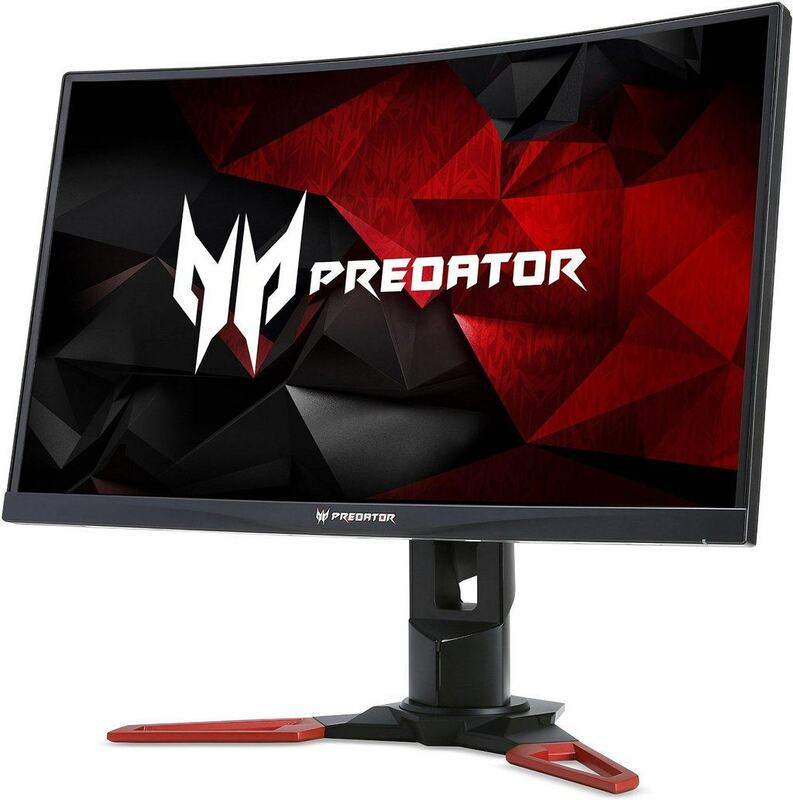 The “smaller” version is basically a FreeSync version of the more popular Acer Predator X34. Both of these monitors are based on 10-bit (8-bit + FRC) IPS panels with precise and consistent color reproduction as well as a quick response time speed for motion blur-free gameplay experience. Now, these awesome gaming monitors will be taken a step further, with even more fascinating image quality due to the HDR support and even faster pixel response. Although these two upgraded ultrawide monitors boast the HDR support, they don’t meet the adequate requirements such as the full array local dimming and 1,000 nits of peak brightness needed for true HDR support. Instead, the displays use the Edge-lit LED panels and global dimming to increase the contrast ratio and extend the color gamut for a more immersive viewing experience. The IPS panel of the Acer XR342CK and the Acer XR382CQK already covers 100% of the sRGB color space with accurate and advanced color adjustments fit for professional photo editing. 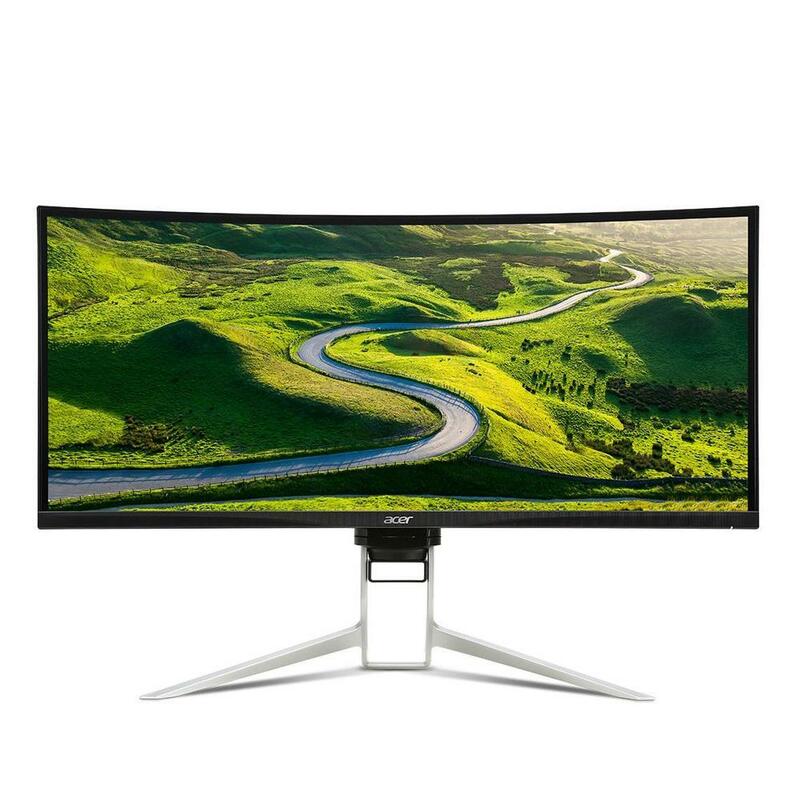 Add to that the HDR support, the impeccable 178-degree viewing angles, a cinematic 21:9 aspect ratio, and a high screen resolution in addition to the monitors’ screen curvature and alluringly thin bezels, and you’ve got the perfect image quality. The Moving Picture Response Time technology was developed by Samsung, however, they applied it to their VA panels. The Acer XR342CK and the Acer XR342CQK are based on IPS panels developed by LG. There isn’t any information available yet regarding how Acer managed to increase the response time of their IPS ultrawide gaming monitors. But, we will keep an eye out and update the article as soon as something comes up. Both monitors feature AMD FreeSync technology which ensures there’s no screen tearing nor stuttering once the display is connected to an AMD FreeSync-compatible GPU. You will be able to use the displays with Nvidia cards as well but you won’t benefit from the dynamic refresh rate range. The FreeSync dynamic refresh rate range of the current Acer XR342CK and the Acer XR382CQK is 48-75Hz and they do not support LFC (Low Framerate Compensation) which means that when the FPS (Frames Per Second) rate drops below 48FPS, FreeSync stops working. So, you need to have a powerful enough graphics card or to lower the settings to make sure that won’t happen. The new Acer XR382CQK will support LFC, but there’s no information about the LFC support regarding the new Acer XR342CK model. 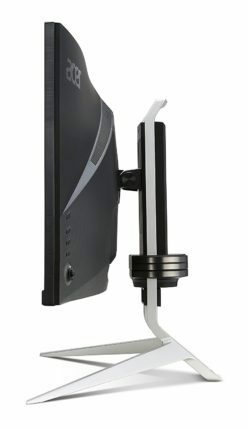 Both displays have a gorgeous thin-bezel design with versatile ergonomics including height adjustment, swivel, tilt, and VESA mount compatibility. Rich connectivity consists of a DisplayPort, a DisplayPort-Out, a mini-DisplayPort, an HDMI 2.0, an HDMI 1.4 (with MHL 2.1), a four-USB3.0 hub, the headphones jack, and two 7W built-in speakers. 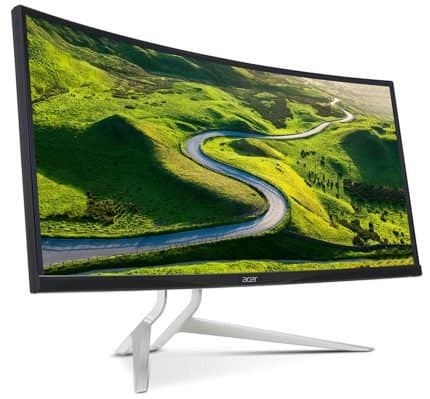 The Acer XR382CQK IPS ultrawide gaming monitor also offers the USB-C and it’s 2300R curved while the Acer XR342CK has a more aggressive 1900R curvature. The upgraded displays have almost identical monitor names as their predecessors, so in order to distinguish them from one another, we’ll include their whole model names. The Acer XR342CK bmijqphuzx price is $800 while the Acer XR382CQK bmijqphuzx is priced $1,100. Considering that these new models aren’t significantly more expensive than the previous models, it’s a rather fair price. The shipping takes one to two months, so we’ll be seeing more information about these displays as time goes by. We’ll keep the article updated, so stay tuned. Until then, you can check Amazon or Acer’s official web page for additional information. As we’re anticipating the ground-breaking gaming monitors to be released in 2018, it seems Acer has a few more great displays for us just in time for the Christmas holidays. Those who like ultrawide gaming know that the VA-panel 21:9 monitors may have higher refresh rates than their IPS counterparts, but they suffer from prominent motion blur. 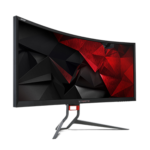 The IPS 3440×1440 ultra-wide gaming monitors, on the other hand, don’t have native 100Hz refresh rates, but they do have more accurate colors, better viewing angles, and faster pixel response. Acer has decided to make those colors even more vibrant with HDR and the response time speed faster via the 1ms MPRT as opposed to the standard 4-5ms GtG. Should any new information come about, you’ll be able to check them out here. We look forward to these displays and reviewing them ourselves soon enough. The XR342ck overclocks quite easily to 100Hz, in fact mine runs at 110Hz without issue. The only drawback when running these monitors overclocked is frame skipping but that said I am yet to notice frame skipping in my day to day usage of gaming and content creation. Do you have HDR version Alan?